The Virtual Boy is arguably the worst video game system Nintendo has ever released. It completely bombed in terms of sales and was widely panned by critics and gamers alike due to the discomfort caused by its red monochrome head-mounted display. Despite its lack of success, Nintendo still likes to reference it from time to time in the occasional video game. Would you like to see Virtual Boy games make a return now that Nintendo has a VR headset? Tell us below. I still have my Virtual Boy. Is it really an easter egg if it's just something you pick from the menu? An easter egg would be, like, being able to play a little VB Mario Tennis yourself by entering a button combination during the video. I loved my VB and Tennis. Was wondering if the VR labo would give it a shout out. I hope someone makes and sells a holder/goggle combo in its vain. The game boy color is probably just as bad. Yeah it had zelda oracle of seasons/ages but the art style was literally cut and paste from links awakening. The rest of its line up as in 99.9% were absolutely horrendous. VB had Wario land VB...great game, plus jack Bros and Mario clash weren't too bad. You have to think of the GBC as the New 3ds, or the Switch pro that's rumored. It was an improvement. The GBC/hand held itself was an obvious improvement over the Gameboy pocket (shocker. There's color now), but not the line up of game boy color games themselves which were mostly trash when stacked up to original non Color GB games. Honestly, if Nintendo added a few playable Virtual Boy games as an update for the Vr Headset I think it would definitely sell a lot more units. @Wavey84 Again, it wasn't a new platform, just an improved system with a few exclusives. Just like the new 3ds, and we'll probably see it if there is a switch pro. It would be pretty neat if they threw the VB games into the Switch VR package. I do like that Nintendo does things like this every now and then to let us know they are at least somewhat aware of their own history. @Wavey84 Imagine if GBC wasn't a stopgap and Nintendo wasn't already making the GBA ("Project Atlantis") before they even announced the GBC. Then GBC might've had more than two years on the market to build a library. 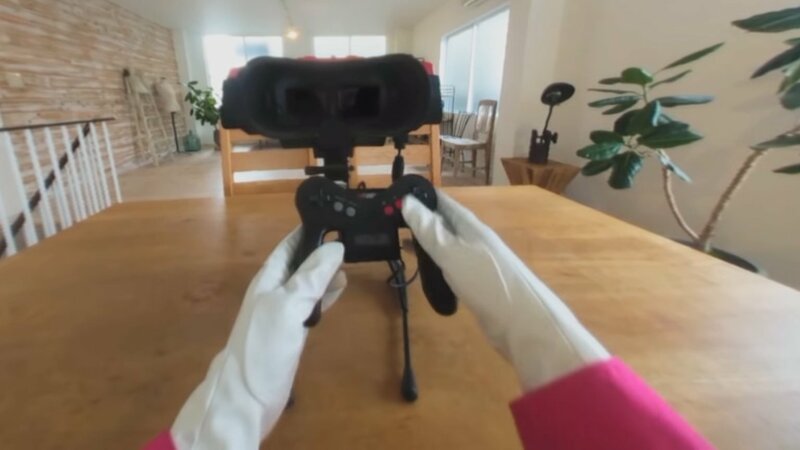 @Pichuka97 Same, but I think it would work better with the Labo VR headset. The way the 3DS displays 3D the contrast of the red lines against the black background would leave a residual image from the other eyes view. Still if Nintendo did release Virtual Boy Virtual Console titles on 3DS (or Switch) I would likely pickup anything offered. It's weird, but I swear it'd sell well to Nintendo fans if they released one now with all of the games on it. I remember trying the demo vb and getting red marks on my head. I would love to see a Virtual Boy Classics collection on Switch. Means less wear and tare on my complete VB collection. @wolvesboy having just bought one make sure you get one that has been refurbished. That is usually why they are so expensive. They need to be cleaned and recapped because alot of the capacitors inside blow and mess up the audio and visuals. Sadly capacitors in the late 80s and early 90s where super cheap due to lack of materials. @SetupDisk Red marks on your head? That's just what happens when you leave the Matrix and enter the true reality of the Virtual Boy world. Oh, to visit a parallel universe where Yokoi had time to finish and polish this boy. But even as Nintendo's one failure of a video gaming system (Wii U may underwhelm in modern industry context, but between 14 million sales and a sizeable game library, "it ain't much, but it's honest work"), it still couldn't be denied as another testament to Nintendo's quest to break new grounds. And some claim that it did at least cause some ripples in the gamepad design, FWIW. I had the chance to try it in a retro event and loved it. I think the 3DS Virtual Console was a missed oportunity to bring its games, designed with 3D in mind, but now I would like Nintendo to get them on this VR thing. The system bombed, yes, but its games were good enough. They deserve better. Cool. Now put VR Wario Land and a couple of the other VB games on there too. . . .
@Moroboshi876 Yup, with this Labo VR is would be very cool to see a bunch of the 3DS games running in it via Switch (the ones that don't really take advantage of the two screens too much, such as all the Sega 3D Classics for example). @wolvesboy I recall seeing a second hand one in Milton Keynes back in 2006-2008; can’t remember if it was £20 or £80. Either way; cheap as chips compared to today. Still mildly gutted I didn’t pick it up but honestly would have been a shelf piece. @impurekind No, I meant Virtual Boy games. Titles that should have been rescued from oblivion in the 3DS Virtual Console, a perfect home for them, but Nintendo didn't do it. Now, although without the 3D, they could be enjoyed in this VR Labo thingy. I would love to play the virtual boy games. It's the only Nintendo console that I don't own. I loved my VB, still drag it out once a year or so to play. I would love to see a couple VB games released on Switch with LaboVR support. Still say it's criminal that no VB games were ever released as Virtual Console games on 3DS. It’s kinda neat to see Nintendo poking light fun at themselves in this way. Now if only they would mention the Zelda CD-I games in some form. Pretty neat. Now where are the Virtual Boy re-releases? I have a few of the games but I'd much rather play them in a more comfortable manner than the Virtual Boy itself, even if it would just be in black and white. I can't believe they haven't even remade Virtual Boy Wario Land at the very least. I don't care how I play VB, just wish I could on the latest Nintendo hardware. @KingdomHeartsFan Cardboard AC adapter sold separately. @Moroboshi876 What do you mean "without the 3D"? @Wavey84 Just because you're unfamiliar with the GBC library isn't an excuse to post something so insanely ignorant (and I am a big virtual boy fan, but dawg it had 12 games lmao). Man, we need the whole VB library on Labo. That'd be sick. Lol the VB is worth getting for just Wario land alone. I remember being completely blown away by the multiple 3D layered introduction/opening cut scene and boss battles. Impressive stuff no doubt. @BetaWolf I mean that Virtual Boy games could be enjoyed in the Switch, although in this case they would lose the stereoscopic 3D. @Wavey84 GBC was not mind-blowing I guess but had some great games like Metal Gear Solid/Ghost Babel, Samurai Kid, Return of the Ninja, Wendy and Shantae, that one Grandia game, Revelations (megaten), Power Quest... pretty sure there was a Goemon game on there too and some real quality ports like Rtype DX, Magical Chase, Crystalis to name a few. Also Wario Land 2 and 3 were both Color exclusives iirc, though VB Wario Land is probably the best in the series imho. Add those (and others) to all the first party Nintendo stuff and it was a -really- good a system... on par with standard GB probably but not as good of a library as GBA, I think. @BetaWolf Really? Didn't know. Then it will be even more painful that this time around they don't port Virtual Boy games either. Of course it's not Wario Land. @Moroboshi876 They'd actually still have the 3D on Labo VR, and it could actually look even better. @Moroboshi876 Yes, that's half the point of modern VR. @BetaWolf as I've said, I didn't know. I never play VR games, with this I could be interested for the first time, depending on how good it is. I'm not unfamiliar with the GBC's library at all. YOU'RE most likely just biased because it probably happened to be a big sparkly part of your childhood. Stacked up against the older non-color Gameboy classics(think Wario land, gargoyles quest, castlevania II Belmonts revenge, contra operation C ect) the Gameboy color's library falls flat on its face. However i do love the neon colors/design of the GBC though 😃....grape purple, kiwi green, berry red and banana yellow all look fantastic. @Wavey84 Man I'm not sentimentally attached to any game boy system. Simply stating there are more than twelve (12!) good games on it and it should not be considered with the likes of VB. In regards to Labo VR, I played it for a couple hours last night and it made me genuinely depressed. Like I was stuck in a blurry clown world I'd never want to visit and all I wanted to do was go home. Went outside and thanked God himself for irl. I was afraid the resolution would take a dramatic hit. Ah well, there's always Sony VR! Can it do two player? @Roam85 Maybe if they sell enough, they'll explore multiplayer options, but for the time being, it's just a solo experience which includes a few extra props a second person can use to influence your game, like a "snorkel" someone can wear while you use the Labo Camera. When will we finally be able to correct the record on VB--it wasnt as bad as many people (continue to) say. Its actually fun, just not a successful system in the market. And while we're at it, lets tackle Other M, too. @Pichuka97 i just got my VB soldered and it works perfectly. Could recommend a fellow if you want to get it permanently fixed. I remember when the Virtual Boy and the GBA SP only cost $29.99 brand new. Now new models cost around $299.99. Ugh. @Pichuka97 No Prob. Not sure if i can post links here but i'll try. Here's the guy that did my VB repair--soldered the ribbons, working like new.